The cutest pair of color block blue and yellow boat shoes c/o...BOBS from Skechers. I seriously had no idea that Skechers made such cute shoes. I wore these out around town after our sledding adventure the other day and they were so incredibly comfortable and I got quite a few compliments, which is always a plus when you have a new pair of shoes :) BOBS is a charitable footwear collection that is making a difference by giving a new pair of shoes to a child in need with every BOBS purchase. I love companies that do this like BOBS and TOMS. Is is always a good thing when multiple companies are trying to make a difference around the world, one shoe sale at a time. 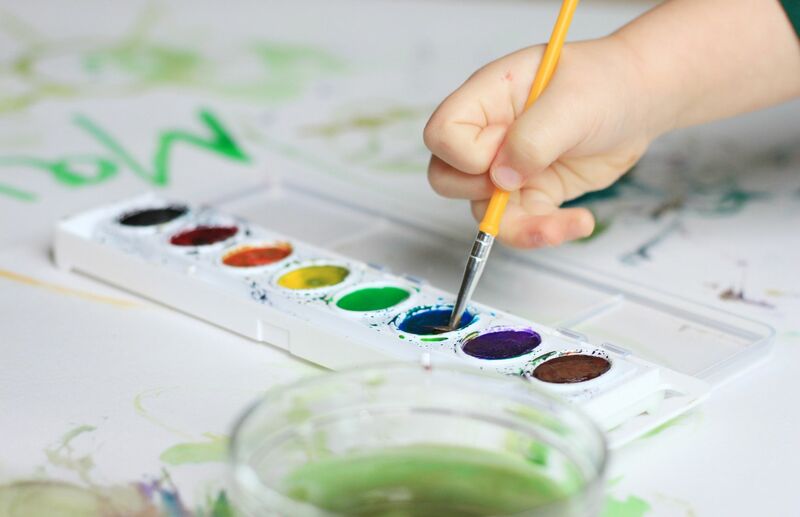 Learning about colors and playing with watercolor paint on a rainy day. 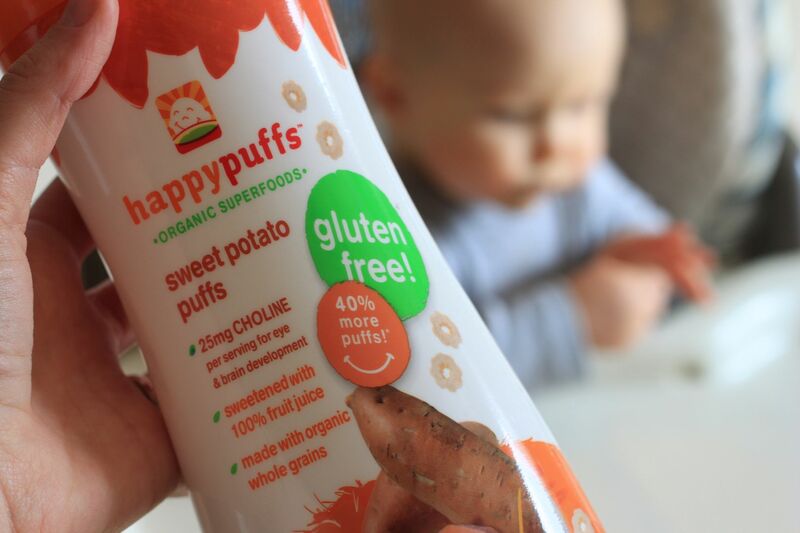 Gluten free baby puffs! I am so happy to see more and more companies producing healthier snack options for kids and babies. 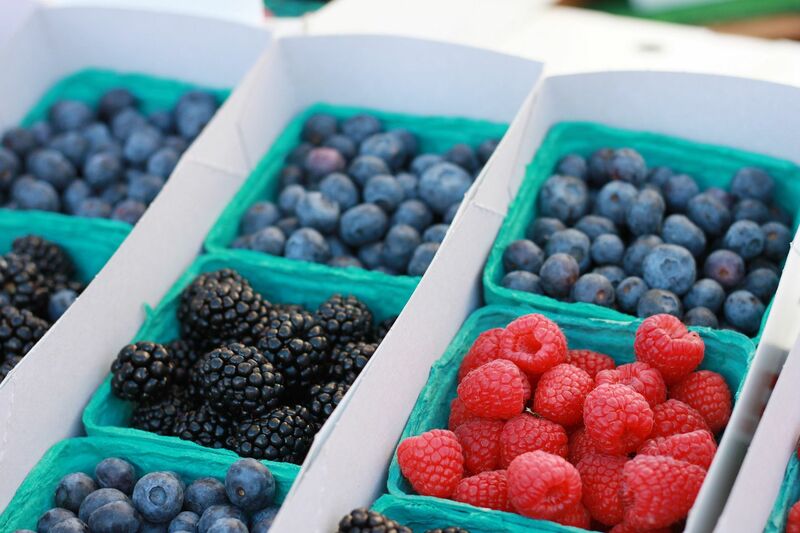 Delicious fresh berries from the farmer's market that are going in some pancakes this weekend. 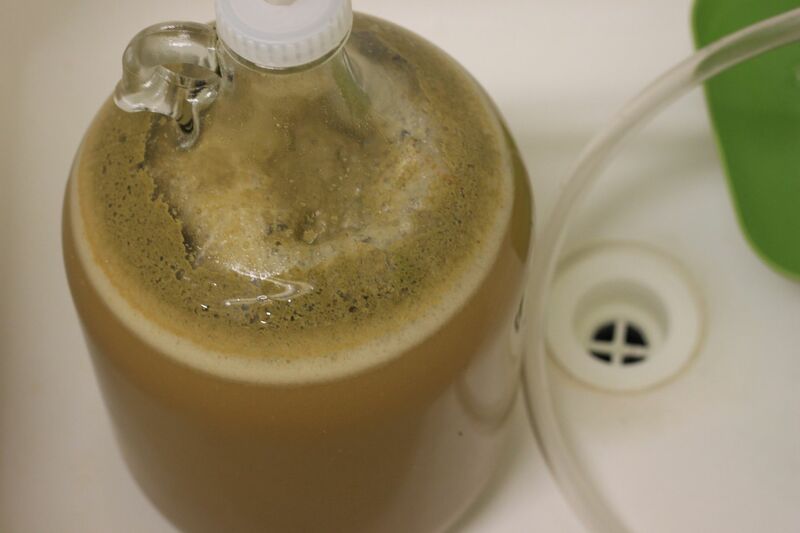 My husband's first batch of homemade beer, which is fermenting in my laundry room at the moment. The whole process is actually really interesting and I can not wait to try it once it's all ready in a few weeks. Lets hope it tastes better than it looks. Have a wonderful weekend! Will you be watching the Superbowl? I never really get into football during the actual season but for some reason I always look forward to the Superbowl and all the awesome commercials of course. Your shoes are so cute!! And, being comfortable is a huge plus. Yes, glad to see companies getting kids off to the "right" start with foods. Love the shoes! I'm still such a fan of the color-blocking trend! Mmmmm... those berries. We've been getting some fantastic strawberries lately at the Market Street. Delish!! OH I think I need those shoes! I love them. Thank you for sharing. I eat my nephews happypuffs ALL the time! ; ) And- cute shoes lady!! Cute shoes! Same here.....could care less about football during season but love to watch the Super Bowl (mostly for the commercials and half-time!) Happy weekend. I LOVE this picture of you! You look gorgeous in anything. Seriously. And how about how amazing you look after having baby #2?? Not fair. :) Hope you have a fabulous weekend! Love it all - CUTE shoes! And I love that you are brewing beer! Mmmmm beer! I love the fruit and the hat!! my daughter loves those puffs! i always get those sweet potato puffs! you'll have to let us know how the homemade beer turns out:) happy weekend! Where did you get your super cute hat?? Love Love Love your cute new profile pic!!!!! You are simply adorable my friend! i feel the same way about the superbowl. never pay attention to football but always watch the superbowl. and let's not forget the snacks. You look fab! I love your life lol in a non-creepy way of course.